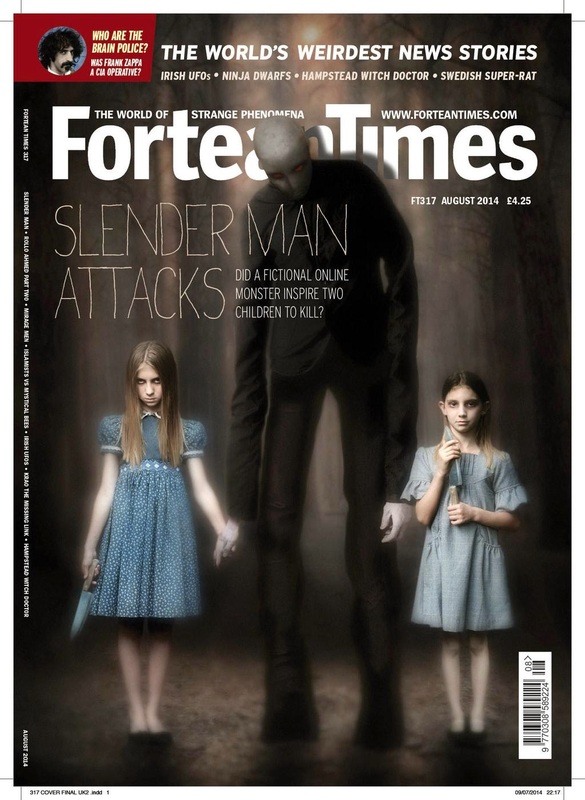 The August 2014 issue of Fortean Times (FT317) is out now in the UK, and will hit news stands in North America during the next month. It contains Ian "Cat" Vincent's first published Fortean Times article, a cover story on Slender Man. The issue also includes another article on Slender Man, "Shadows of the Thin Man." That contribution to Fortean Times happens to be another first published article. The author? My wife, Jenny Coleman. Congratulations to both of these writers.